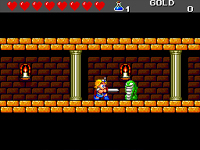 A masterpiece of game design originally released in the early days of the Super Nintendo Entertainment System, ActRaiser's enduring popularity stems from its revolutionary combination of action and simulation-based gameplay. Take control of the Master, a dethroned deity whose once-idyllic world has fallen under the control of the Evil One. Stripped of his divinity, the Master must somehow put an end to the Evil One's reign and rebuild this now-desolate realm. 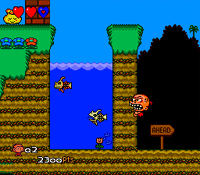 Gameplay alternates between two modes: Action and Simulation. In Action mode, the Master must battle against impossible odds to pacify six lands. Pacifying a land unlocks Simulation mode. In this mode, the Master must oversee the development and repopulation of the territory he has reclaimed. In doing so, he will gain followers who gradually restore his godly might, empowering him to take back the next land and, ultimately, to defeat the Evil One.